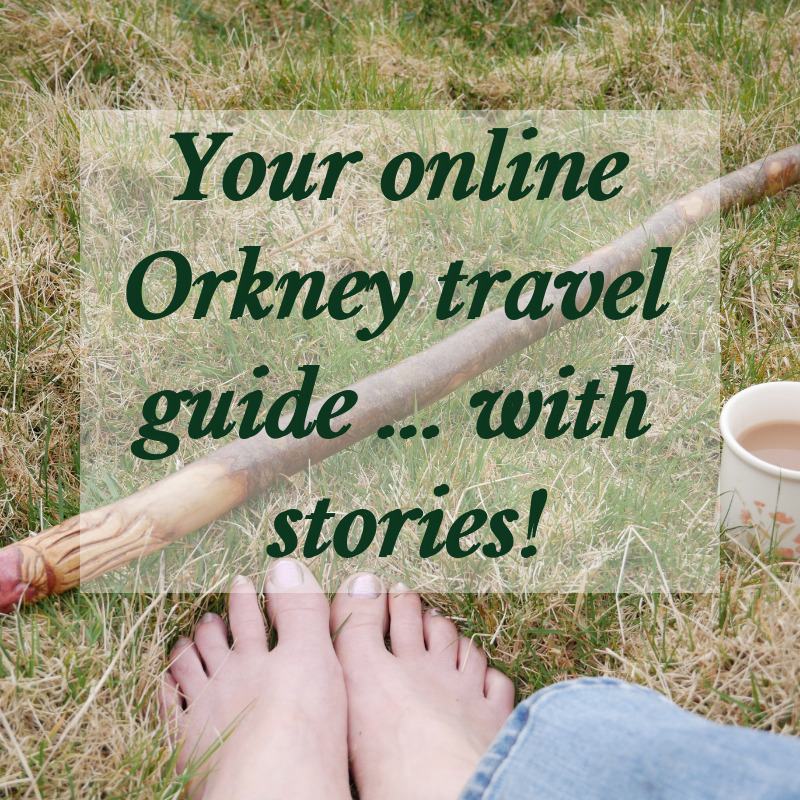 Orkneyology.com is your online Orkney travel guide - with stories! Let Orcadian storyteller Tom Muir and his American wife, Rhonda, help you find your best experience of Orkney. Orkney Updates is like a helpful broonie. Here you can find Tom and Rhonda Muir's latest articles, travel advice and stories. We'd love to help you get carried away in Orkney. Continue reading "Orkney Hosts International Workshop on Climate Change"
Continue reading "Scatter Sites - Fieldwalking for Archaeology"
Continue reading "Fishing in Orkney - Find the Best Fishing in the Orkney Islands"
Ever wonder what it's like living in Orkney? Listen in on this charming 2010 BBC Orkney Radio program about everyday life on Orkney's island of Sanday. The show features storytelling from native storyteller Tom Muir sprinkled throughout the program. (It's pronounced sandee, not san-day, by the way - just a pet peeve.) Enjoy! 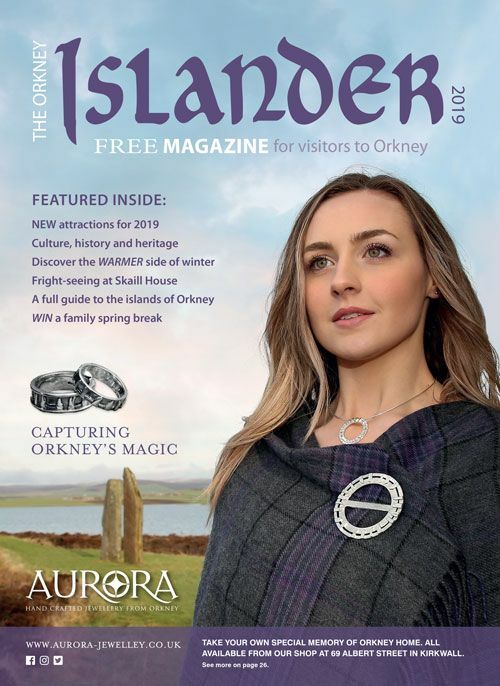 Continue reading "Hear About Life on the Orkney Island of Sanday"
Download or order your free copy of the 2019 Orkney Islander magazine - a visitors' magazine filled with valuable travel information and itinerary ideas to make your Orkney trip magical. 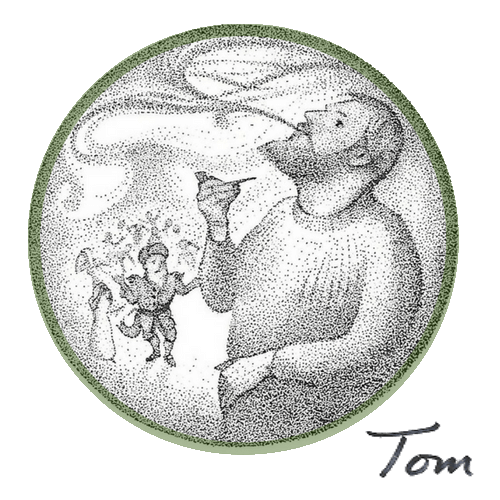 Find Tom's story about Orkney's witches on page 67. Continue reading "FREE Orkney Islander Magazine 2019"
What terrible event happened when the two most powerful navies in the world - the Royal Navy and German Fleet - met for the last time in Orkney's Scapa Flow? Continue reading "The German Fleet Scuttling at Orkney's Scapa Flow"
Hear our latest recording of Orkney's folklore on Sound Cloud, along with the others we've dotted about on Orkneyology.com for your pleasure. Enjoy! 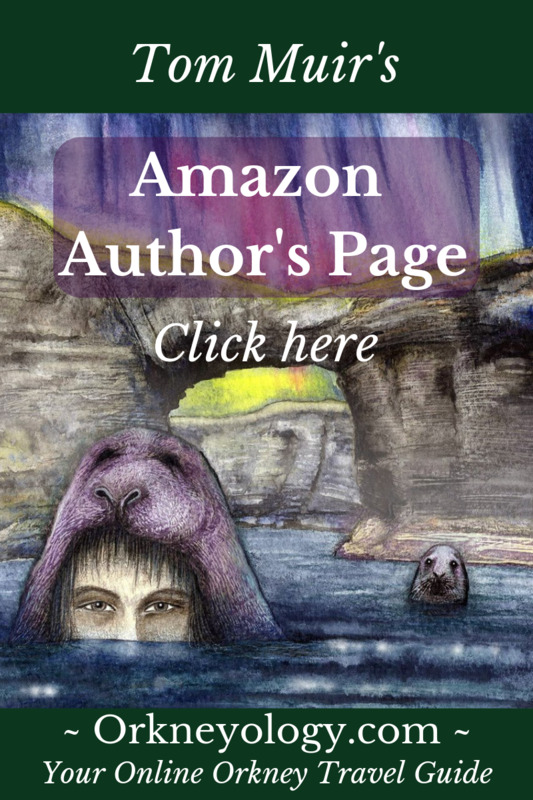 Continue reading "The White Lady of Clestrain - an Orkney Ghost Story"
It seems women were doing more than just standing around and admiring the work of the men at the Skara Brae dig in Orkney. Continue reading "Female Archaeologists Written Out of History"
Here's a thoughtful article outlining some of the problems of energy inequality in Orkney - a place where green energy and inventive energy initiatives are exploding. Why are Orcadians being punished? Continue reading "Social Injustice of Fuel Poverty in Orkney Islands"
Golf tycoons want to raid Scotland - It is our duty to defend its beauty. Wanting to enjoy a good game of golf in the land where it was invented is understandable. But does it have to come at the cost of Scotland's irreplaceable natural heritage? "You don’t have to be closely acquainted with these issues to understand why there is so much distress at the prospect of another stretch of this wild and vital north-east coastline being sacrificed to the whims of a US billionaire and the exclusive use of golfers with the means to pay top dollar for the privilege. Further along this coastline, Donald Trump’s luxury course at Menie was waved through in the face of objections about damage to the globally unique dune system. Almost seven years later, the promises of jobs and investment parroted by Trump and some well-connected local supporters have yet to materialise." Continue reading "Golf tycoons want to raid Scotland - It is our duty to defend its beauty." Get away from summer crowds in Scotland's Orkney Islands. Discover two little-visited tidal islands in Stromness that you can explore at low tide - The Holms. Continue reading "Travel Slowly: Explore The Holms of Stromness, Orkney"
I was recently invited to contribute an article to the worldwide expat blog "Where Can I Live." Here I tell a bit more about my experience of moving to Orkney and learning to live a new life abroad as an American expat living on a Scottish island. I hope you enjoy my moving to Orkney story. Continue reading "Where Can I Live - An American Expat in Scotland"
Scottish explorer David Reid will soon follow in the footsteps of Orkney's John Rae, arctic explorer. Reid's journey will take him on a 400-mile trek across the Boothia Peninsula, following the same route as the Orcadian explorer John Rae in 1854. Continue reading "Arctic Return Expedition - Following in the Footsteps of Orkney's John Rae"
June 2019 will see a commemoration in Orkney of the startling events of the 1919 scuttling in Orkney's Scapa Flow. Organizers are looking for descendants of both German sailors and Orcadians who witnessed the scuttling. Continue reading "Orkney Islands Call for Descendants of WWII German High Seas Fleet Scuttling"
Continue reading "It Was Always Meant To Be"
Continue reading "From The Bottom To The Top (of the UK)"
This report focuses on Aberdeen and Edinburgh as great places for expats to live, which I'm sure is true. Continue reading "Why European Expats Love Living in Scotland"
Fancy a storytelling festival on a Scottish island? See our "Storytelling" tab above. For some of the other main Orkney Islands festivals and events for 2019, check out this handy Orkney festivals guide from Orkney.com! 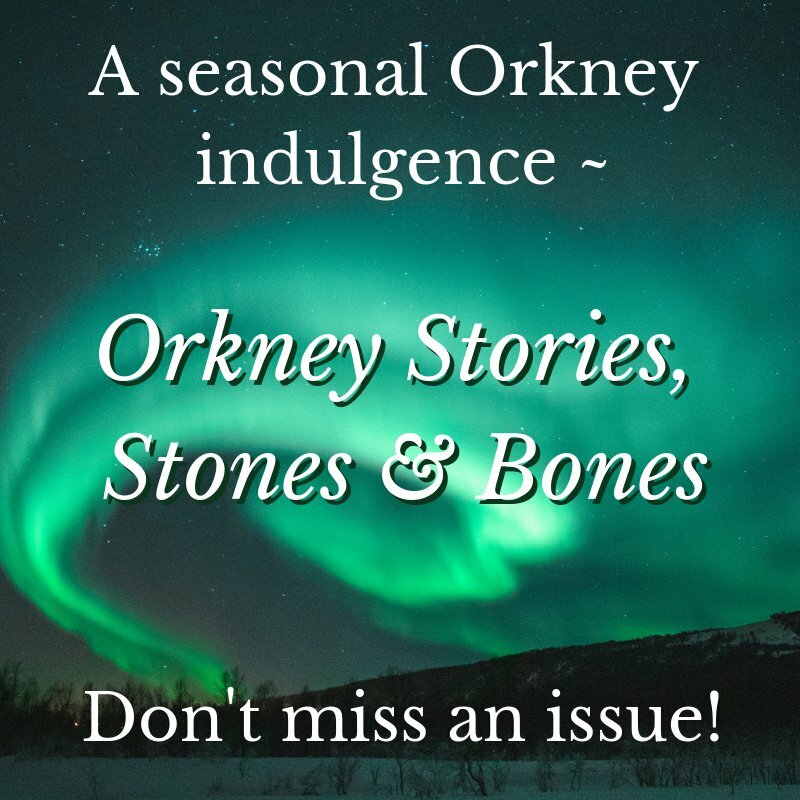 Continue reading "Orkney Festivals and Events 2019"
If you're planning to be in Orkney at the end of March - start of April 2019, you have the chance to take part in an unforgettable - and free! - experience. Our Norwegian friend Raggie is an Orkney Green Badge guide and an expert on Norse history. 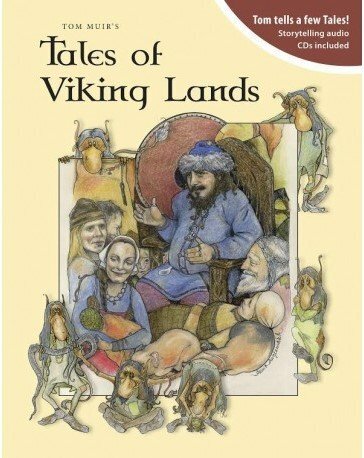 She will share local tradition, folk stories and read from Orkney literature as she leads fellow pilgrims along part of the 55-mile St Magnus Way. The pilgrimages reflective of all beliefs. All you need to pay for is your transport. Continue reading "Charity Pilgrimage on St Magnus Way March 30th - April 3rd"
My first visit to Orkney was for a week, in 2000. However, by the time we got there, I had studied Orkney's history and language for a whole semester. Continue reading "A Week Turned into Ten Years and Counting"